Fans of Netflix’s Jessica Jones and Daredevil that are located in Australia will soon be able to purchase the Blu-ray for both shows. Jones and Daredevil season one will be released on Blu-ray on December 7th. Fans in the U.K. will able to own the Blu-rays a bit sooner, they will both be released on October 8th. Daredevil has already been renewed for a third season. No release date has been given, but the likelihood is we should see season 3 release in a similar period to seasons one and two sometime in 2018. 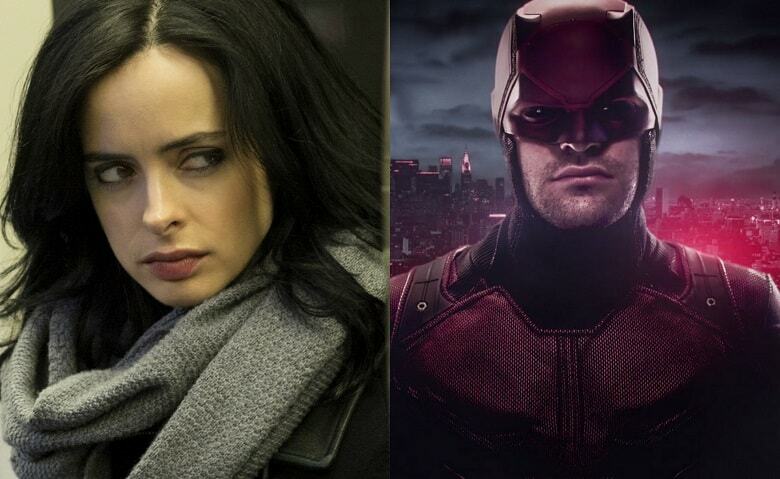 The cast and crew of Jessica Jones are already working on a follow-up season. In a new interview with Entertainment Weekly, Melissa Rosenberg, the showrunner and executive producer of Jessica Jones, spoke about planning Jessica’s arc for Season 2 while at the same time making sure it connects with whatever happens in the spin-off series and more. Rosenberg spoke about the difficulties, but also easiness on writing out Jessica’s Season 2 arc while also tying it in with whatever happens with her over at The Defenders. Marvel and Netflix’s Daredevil stars Charlie Cox, Deborah Ann Woll, Elden Henson, Vincent D’Onofrio, Jon Bernthal, Élodie Yung, Rosario Dawson, Scott Glenn, Matt Gerald, Geoffrey Cantor and Royce Johnson. Marvel’s Jessica Jones Season 1 is available for streaming only on Netflix.